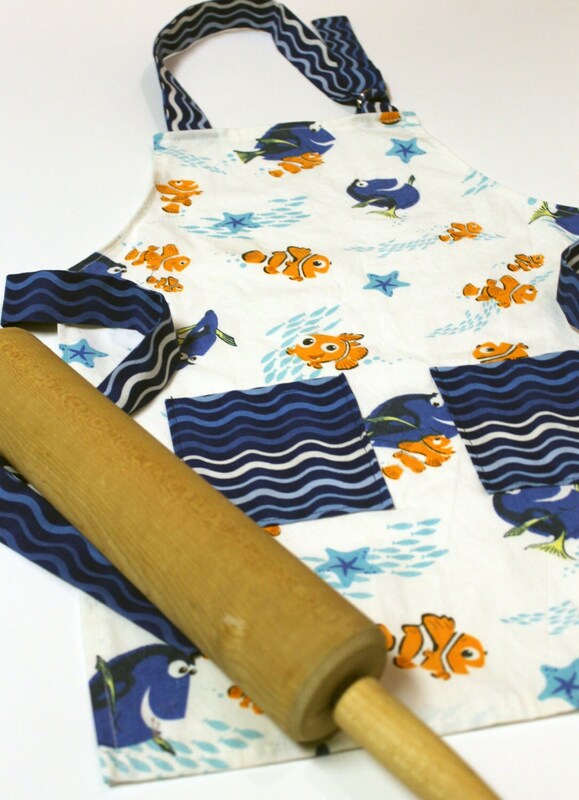 This apron is a perfect gift for a little helper. 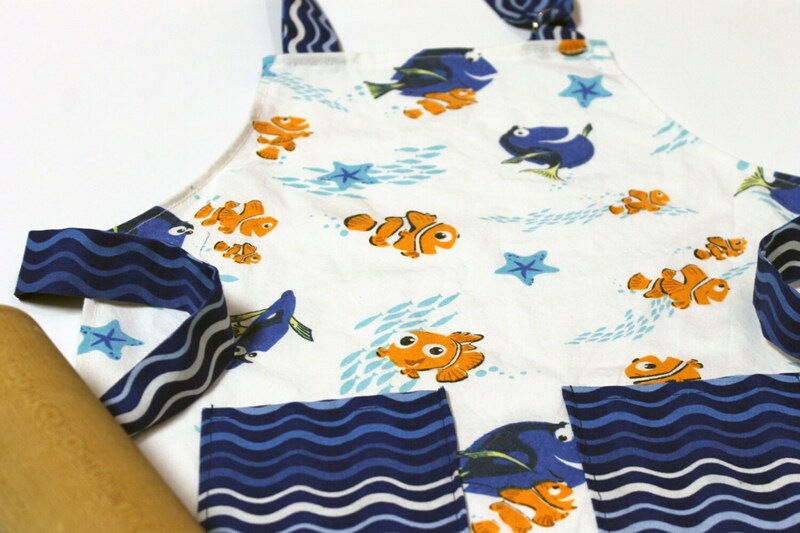 This apron features Nemo and Dory from the Disney movie "Finding Nemo". This apron features ties around the waist, an adjustable neck strap and two pockets on the front. At Rerun Design we dedicated to using upcycled materials. 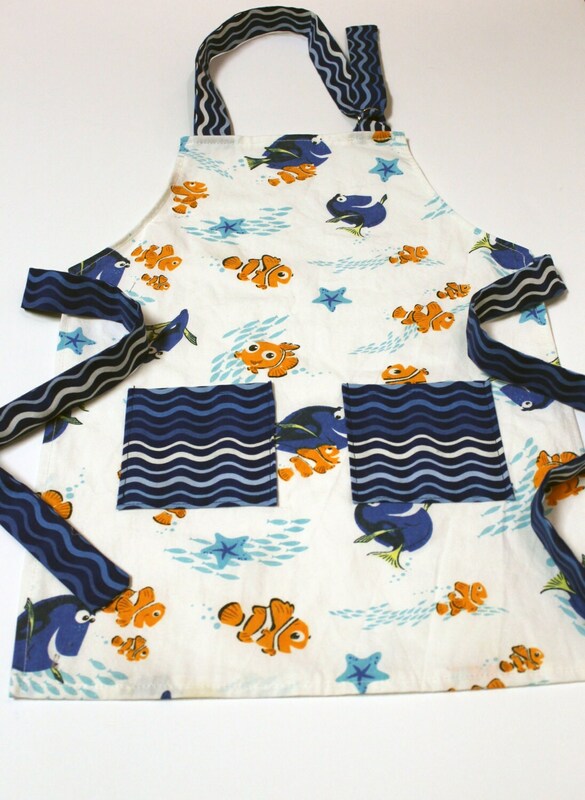 The materials for this apron came from an upcycled bed sheet. All materials have been inspected and machine washed before sewing.